Looks like protein Starbursts! Sign us up! Click the image to get notified when it’s out! BPI Sports has given us a new way to eat protein… in a candy form with the FunnBar! Lets take a look at what makes it so unique. 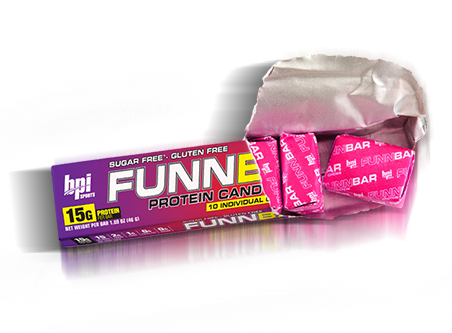 Due to launch sometime during the beginning of September 2014, BPI Sports’ FunnBar is the most innovative protein bar that we’ve come across in a long time. The FunnBar is a refreshingly new take on protein bars. It’s essentially a rectangular pack of 10 chewy, individually wrapped candies – each one containing 1.5g of protein. Yes you read that correctly. 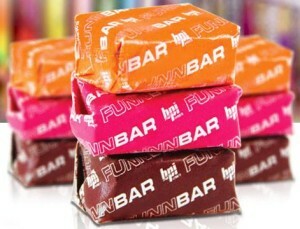 The FunnBar is the first ever protein candy! Think about it like healthy Starbursts! 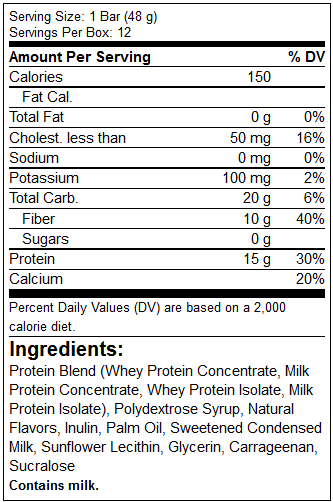 As mentioned above, each bar contains 15 grams of protein. Additionally, each bar contains a whopping 10 grams of fiber. To put that in perspective, one bar offers nearly half the fiber you need in an entire day. Furthermore, FunnBars are fairly “clean”. They don’t include sugar, gluten, or fat. On top of that, they’re also free from unnecessary fillers and artificial colors. Are they really so special? 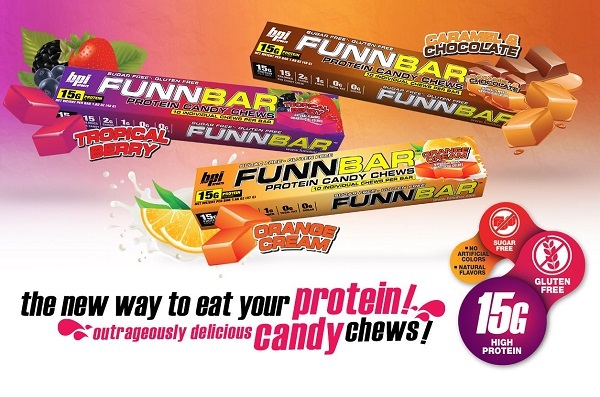 The FunnBar slogan, “a new way to eat protein” sounds like a bold claim. Truthfully though, there really aren’t any comparable products on the market right now. Gatorade’s Prime Energy Chews are probably the closest thing, but they are a carbohydrate based product, containing absolutely no protein. Completely different. What makes it better than a traditional protein bar? FunnBar – A new way to boost your protein number! Easier dosing – The bar is broken down into ten doses, individually wrapped. Soft and bite sized – You shouldn’t have to go through a jaw workout just to eat your protein bar. Delicous taste – Again, this is a candy we’re talking about. Protein candy. What’s not to love? We recently recorded our review (video will be uploaded soon), and our favorite was definitely Caramel & Chocolate. It tasted like a Werther’s Original candy, but chewy. Tropical Fruit was pretty good too, but we feel that orange could have used a bit stronger flavor. If you’re expecting the over-the-top strength of Starburst, you’ll be disappointed – it’s definitely a “weaker” flavor. This flavor was great, but chocolate & caramel was definitely our favorite! These taste like no other protein-based product out on the market. If you’re someone who needs something chewy or candy when dieting, and you don’t want to mess with your macros… or you’re looking for a “protein hack” to add a bit of extra protein in a fun way, the FunnBar is an easy choice. FunnBar protein bars are in a league of their own. BPI Sports seems to have nailed the perfect combination of convenience, texture, and quality ingredients, all in one unique form of candy. Our only concern is that while it’s an excellent way to consume protein, it isn’t exactly the most cost effective. This is a “luxury supplement” for those who are just looking for something different to get their minds off their diet. That being said, you can use PricePlow here to find the best prices available. We compare prices across several stores, so you should be able to find a great deal. No Comments | Posted in New Products, Supplement News | Tagged BPI Sports, Protein Candy.